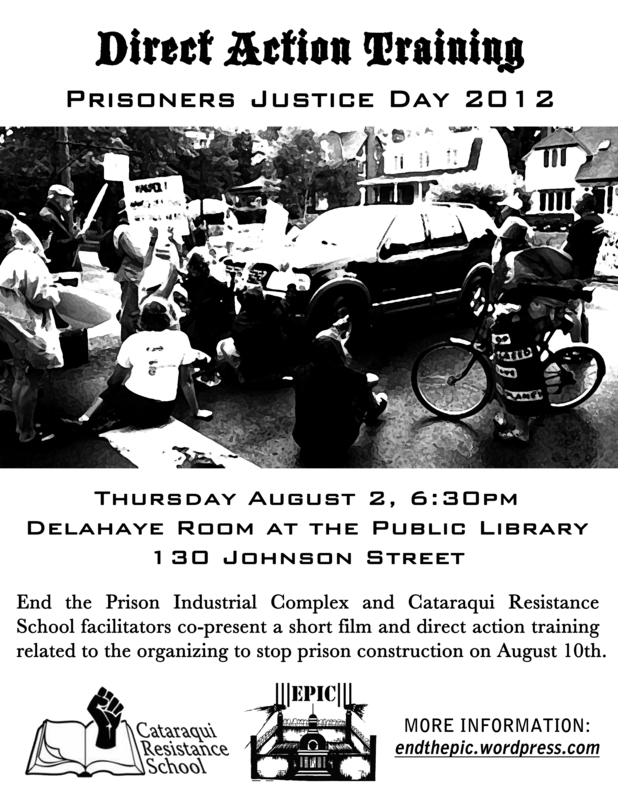 End the Prison Industrial Complex and Cataraqui Resistance School facilitators co-present a short film and direct action training related to the organizing to stop prison construction on Prisoners Justice Day, August 10th. The information will cover topics ranging from legal rights to tactical effectiveness. This entry was posted in Announcements, Collins Bay, Construction, Events, PJD, Video. Bookmark the permalink.